Life begins at _____. Fill in the blank with your actual age. Because at this moment, regardless of your age, life really does begin now. This is the beginning of the rest of your life. Anything you ever wanted to do should be started now, and anything you started but never finished, assuming it is something you really want, should be finished now. It’s great to think young; but don’t live in the past. You have already been there and done that. Live now for the future. If you think you have made mistakes in the past, forgive yourself and move on. Never feel sorry for yourself or envy others. Don’t make yourself a victim. Combine your teenage spirit with the wisdom of age, and you have a recipe for a successful future. Bonnie Ware, a palliative care nurse, and author of a book describing the regrets of people who were dying, The top five regrets of the dying, lists the following as their most frequent regrets. If you have similar regrets, you still have a plenty of time to correct them – or at least make peace with yourself and others that you actually have them. Few of us are totally without regrets. But we did the best that we could with what we knew, felt or thought at the time. Had lived a life true to themselves rather than the life others had expected of them. Had had the courage to express their feelings. Had stayed in touch with their friends. Had let themselves be happier. You are still able to rectify such regrets; but don’t dwell on them. When you focus on what you could have done or been in the past, you reduce the odds of achieving what you are able to do or become in the future. There’s a website that will calculate how many days have gone by since you were born. If you pick the day you got your first job instead, you could get the number of days you have had at your disposal since the day you got your full-time job. That might be shocker – especially if you can’t remember many really exciting activities or accomplishments since that time. It could be rather depressing. I can’t believe the number of days I must have wasted. I find it more useful and motivating as you get older, however, to choose today’s date as your birth date, and estimate how many years you have left. For example, if you are 55 now and assume you will live another 30 years until 85, you have approximately 10,950 days at your disposal. You can accomplish a lot in that many days if you manage your time well. A version of this has been used as an exercise in workshops to determine your priorities. The workshop facilitator would ask everyone to quickly jot down things they would do if they only had one day to live. People would invariably jot down administrative things such as revise their will, choose an executor, and decide who should receive your coin collection, return the overdue books to the library, and determine which hymns they wanted played at their funeral and so on. Other things would include telling those nearest and dearest to them how much they loved and appreciated them, visit briefly with each grandchild, contact those they may have offended or failed to thank, buy that special gift for their spouse, ad infinitum. The point is, we could never possibly do them all in one day. And besides, the exercise is only theoretical. You will probably continue to procrastinate on many of the important things anyway. After all, we’ve got more than one day to live – or so we think. The older we get, the more conscious we are of our own mortality and using the latest statistics, could probably count the years we have left with a certain degree of accuracy. We might also have less tendency to put off what we really would like to do. Certainly by starting now we can do a lot more in years than we could in one day. Today is the first day of the rest of your life regardless of your age. You have time, not only to look after those things mentioned above, but to make an impact on the people in your life – and leave the world just a little better than you found it. There are countless ways you can do this. You don’t have to invent time travel in order to make an impact. You make an impact when you volunteer, make a donation to a needy family, counsel people, become active in your local church, spend time with a child, become active in an association, teach someone how to knit, play the piano or plant a flower garden and so on. And you don’t need a website to determine how many days since you were born or graduated or retired or might have remaining; simply multiply 365 by the number of years and you’ll be close enough. In fact, we could get ten or more additional years depending on our health and the lifestyle habits that we adopt. Ten years ago, I changed my training programs from effective time management to holistic time management, which include strategies completely different from the usual planning, scheduling, delegating, technology, multitasking and so on. These strategies include such things as sleep, personal relationships, and connection to nature, energy cycles, and exercise. I refer to these and other strategies in a new book I am writing with the working title of How to grow older without growing old. I also cover some of them in greater detail – those that also have an impact on slowing down the pace of life as well in one of my e-books published by Bookboon.com, Internal time management. It’s important to get rid of the myth that you’re old when you reach retirement age. There’s a difference between growing older and getting old. Old age is a destination. Growing older is a journey. I’m not old. I’m only 83, getting older all the time, and enjoying every minute of it. I believe my destination is heaven, not old age – and I’m in no hurry to reach my destination. In the book that I’m writing, I interject some of my own experiences to date. I have included some of the results in these blog articles. But what works or doesn’t work for me are not necessarily things that will work for you. I am hoping, however, that some of the recommendations from me or others or the research findings that I pass along will help you to live a long, happy and purposeful life throughout your senior years. According to an article in the January, 2018 issue of Prevention Guide, published by Rodale Inc., nearly 80% of us want to reach 100, at least according to Stanford University researchers. 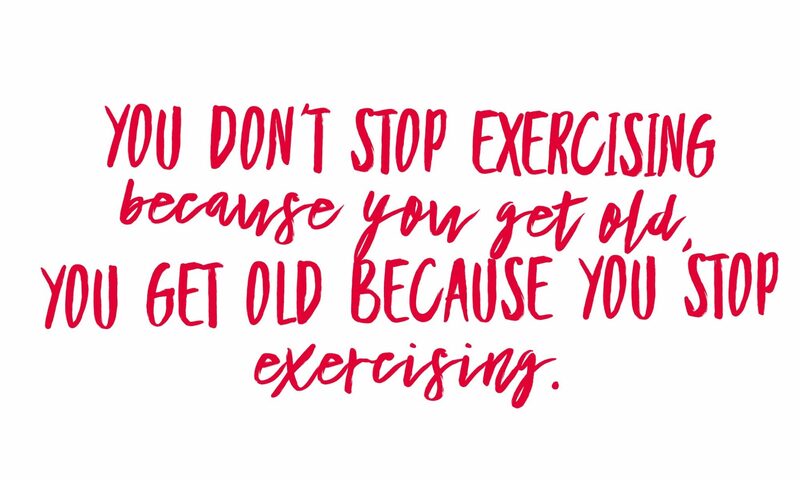 If you or I happen to be one of those people, I’m sure we would prefer to be in good shape both physically and mentally – at least with enough wind in our sails to blow out all those candles. One thing that I want to avoid is dementia. Like many people, I don’t want to outlive my mind. Perhaps this fear is exacerbated by the fact that one of my older brothers died from Alzheimer’s at a younger age than I am right now. Because of this, in the first chapter I briefly discuss ways to avoid dementia or at least lessen its impact on your life. There are medications of course that will slow its progression and make life more livable, and I won’t discuss these. But in the various chapters, I highlight natural ways to maintain a healthy brain and strengthen your cognitive skills, and increase the odds of avoiding dementia altogether. What’s good for your brain is also good for your body, and some of these strategies are discussed at some length. You may be surprised by some of the benefits of simple things such as nature, relationships and a good night’s sleep. There are some shocking statistics that are already painful realities for some of us. The author of The Brain Training Revolution claims that two thirds of Americans older than 50 complain of memory problems and that aging Americans fear memory loss and Alzheimer’s disease more than they fear cancer, heart disease and even death. One in nine Americans age 65 and over have Alzheimer’s disease according to a 2015 special edition of Scientific American, and ultimately Alzheimer’s disease kills about 40% of those aged 85 and over. 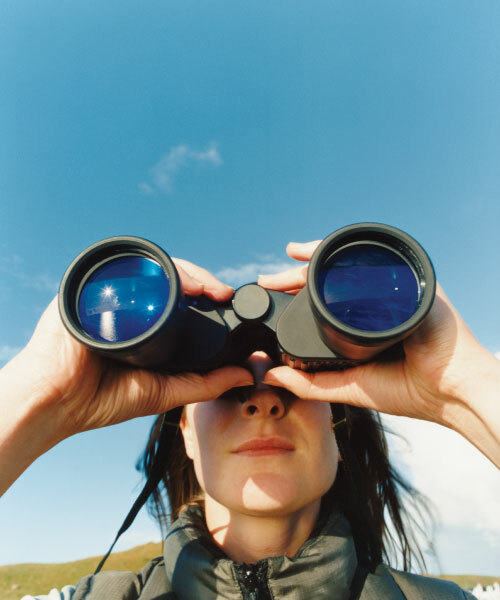 The lifespan of a person in Canada is 80 for men and 84 for women. In 2016, for the first time in census history, there were more seniors over 65 than there were children under 14. According to the Alzheimer’s Association in Canada, over 747,000 Canadians are living with Alzheimer’s or other dementia. Worldwide, at least 44 million people are living with dementia – more than the total population of Canada – making the disease of global health crisis that must be addressed. Dementia is a general term for decline in mental ability severe enough to interfere with daily life, usually involving memory loss and a decline in thinking skills. Alzheimer’s is the most common type of dementia (about 60 to 80% of all cases), with vascular dementia following a stroke the second most common type. Dementia is not senility since it is not a normal part of aging, and many memory problems can be treated – sometimes simply by exercising the brain through memory training and mental and physical exercises. According to the Alzheimer’s Association website, people with dementia may have problems with short-term memory, keeping track of a purse or wallet, paying bills, planning and preparing meals, remembering appointments or travelling out of the neighborhood. Also many dementia are progressive, meaning symptoms start slowly and gradually get worse. So don’t ignore the symptoms. See a doctor to determine the cause. Although medication can slow down the progression of dementia, including Alzheimer’s, your goal should be to avoid or delay its onset through relatively simple strategies such as exercise. By caring for your body and brain – from the food you consume and the sleep that you get to the way you respond to stress – you can influence the vitality of your brain, and greatly reduce the chances of ever being affected by the disease. In my next blog article I will provide a list of actions that are recommended in order to guard against dementia and improve longevity. I’ll never forget what’s her name. Back in the late 1970s, when I first decided to carve out a full-time career as a speaker and trainer, I experimented with management topics such as time management, delegation, stress management, leadership, motivation and creativity. I also studied memory training based on techniques and tricks that were then being used by memory experts such as Harry Lorraine and Jerry Lucas. Before I had the nerve to actually charge a fee (since I was already earning a living teaching at Humber College and well underway with an association management business), I offered brief morning workshops on these management topics no charge – and included memory training to add a little variety. By the time I felt comfortable charging a fee (since the classes started growing), I had realized that you can’t be an expert in everything, so I dropped every topic except time management. It was the most popular session, and I guessed it would still be popular – and even more relevant – in the future. I definitely made the right choice. Time management has served me well all these years, and I still facilitate workshops and give talks on time management to local organizations – mostly senior’s groups. I find that many seniors are living with memory problems and a nagging fear of dementia – especially Alzheimer’s. I never thought that memory gimmicks would be of use in cases of dementia, even though I have been relying on them myself all these years to prevent more embarrassing incidents like the one experienced in my youth. The book even backs up those statements with research. Perhaps I was right in predicting the importance and popularity of time management; but it’s nowhere near as important as brain health – a term never even used back in the 70s. I have dusted off my old memory training notes. (Yes, I am a packrat when it comes to training material. I can survive another embarrassing admission.) Surprisingly, I can still recall most of those one hundred 4-digit numbers that I memorized over 35 years ago. There’s a trick or technique involved, of course; but it’s one of the techniques that I have been using all these years to remember my PINs, “To do” lists, and other information. 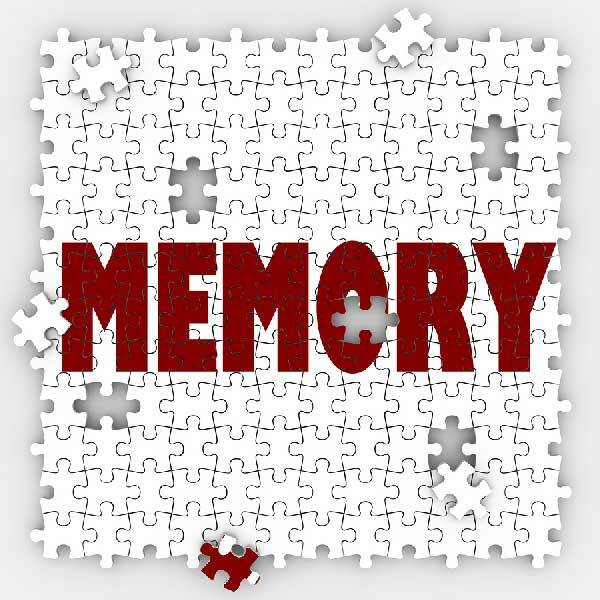 When I speak to those senior’s groups again, I will risk a little embarrassment and included memory training. Who cares if I forget a name or two – or a dozen or more? If you can help stave off dementia, it’s well worth it. Note: Harold now has an e-book on memory techniques published by Book boon.com titled, Boost your memory and sharpen your mind. The author of The Brain Training Revolution claims that two thirds of Americans older than 50 complain of memory problems. According to the Alzheimer’s Association in Canada, where I live, over 747,000 Canadians are living with Alzheimer’s or other dementia. Dementia is a general term for decline in mental ability severe enough to interfere with daily life, usually involving memory loss and a decline in thinking skills. When it comes to octogenarians, there are many of us. The number of Americans ages 65 and older is projected to more than double from 46 million in 2016 to over 98 million by 2060, and the 65-and-older age group’s share of the total population will rise to nearly 24 percent from 15 percent. The age bracket of 85 years and over is the fastest growing segment of the population. Since I became an octogenarian several years ago, and have to communicate with others my age and older at our Tuesday morning gatherings, I have picked up a few pointers on communicating with the elderly. It can be difficult, you know, when you are struggling with a bit of a memory or a hearing problem. I take that back; you’re probably a young buck of sixty or less, looking for some quick time tips so you can cram even more activities into your fast-paced life so it will seem to fly even faster – so you can end up seriously wanting to communicate with other seniors. You might file this article until then; it won’t be long. People in their seventies, eighties or nineties are not necessarily old; but for many of us, memory, hearing and mental quickness do decline, and communication skills require sharpening. 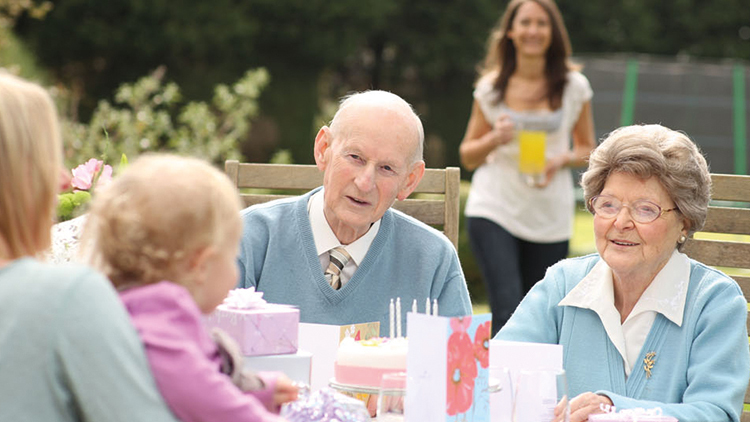 Be aware that 80% of people over 85 experience hearing loss. Only 16% of those with hearing problems have hearing aids – and only 8% actually use them. But raising your voice doesn’t help. In fact, it makes it worse. When you are explaining something or giving information to seniors, lower your tone of voice, and speak more slowly. When talking to a senior, repeat any important segments using different words if they look confused. Face them directly and maintain eye contact so they can see your facial expressions. It also helps if you use appropriate gestures, and exaggerate your frown or smile depending on whether you are delivering bad or good news. All seniors may not hear everything you say, but they become adept a reading lips, facial expressions and other body language. 50% of seniors over 75 have cataracts, and 20% to 30% of people over 75 have impaired vision, so keep that in mind when communicating with the written word. The elderly also need good lighting. As we age, our eyes process only about one third of the light – so lights need to be about three times brighter. And of course we could have trouble reading small print or thin fonts. Don’t rush seniors. There’s nothing more frustrating than being asked a question and not having enough time to respond. The “7-second rule” in questioning (allowing at least 7 seconds for a response to a question before continuing) might become a “14-second rule” for most of us. Someone told us that a 25-year old learns a new skill after about 40 repetitions, while the elderly take 400 repetitions. I’m not sure I agree with those figures; but don’t rush through instructions, and make sure you allow us enough time to learn something new or form a habit. Seniors also have a harder time ignoring interruptions, according to Scientific American Mind, January, 2009 issue. I don’t really believe that…Oops, someone’s calling me – gotta go. Friendly forests and nurturing nature. South Korea even has a Jangseong healing forest where 2000 plus visitors per month walk through its expanse of cypress trees seeking healing and relaxation – in addition to taking in its sheer beauty. Described by Florence Williams in her book, The nature fix, the two and a half million trees are said to have reduced stress 53% and lowered blood pressure 5% to 7%. She was told the phytoncides are antibacterial and even the soil is good for healing. After only a few minutes of walking, Williams felt more awake than she had been all day. Korean researchers found that the immune-boosting killer T cells of women with breast cancer increased after a two-week forest visit and stayed elevated for 14 days. People in nature as opposed to the city achieved better fitness and were more likely to continue exercising. Visits to Korea’s country forest increased from 9.4 million in 2010 to 12.7 million in 2013, while in the U.S., visits to national forests dropped by 25%. In North America at least, we are not taking advantage of the healing power of forests. There are few trees in cities to absorb particulate matter from pollution, and scientists found that pollution from diesel, as an example, shortens lifespan by causing cardiovascular and pulmonary problems. Black carbon from fires and cook stoves are blamed for 2.1 million premature deaths annually around the world. It’s not just the lungs that are affected by pollution. The nose allows a direct pathway to the brain, bypassing the blood brain barrier. (This became obvious in 2003 when researchers found brain lesions on stray dogs in smoggy Mexico City.) After spending over 50 years in traffic-congested, smoggy Toronto, it’s no wonder I feel so much better both physically and mentally in the town of Sussex, New Brunswick – surrounded by forests and lacking any pollution-spewing factories or exhaust from traffic congestion. To give you an idea of the effectiveness of trees in keeping our air breathable, William’s book reports that a 2014 study estimates trees in the U.S. remove 17.4 million tons of air pollution per year, providing $6.8 billion in human health benefits. All of this convinces me that my move from the city to the country was well worth the effort. Louv also mentioned several studies indicating the benefits of gardening. One showed that when elderly residents in retirement apartments had a garden view they experienced greater satisfaction and stronger feelings of well-being. Another study, where one group of institutionalized seniors were provided gardening time, it resulted in emotional and mental improvement as well as pinch and grip strength and improved dexterity. An Australian study found that daily gardening was associated with a 36% reduction in the risk of developing dementia. The above studies may also show the benefits of exercise as well as the impact of exposure to nature. The more exercise one gets, the more the cells release antioxidants for their protection. It would appear that nature walks, gardening and exercising outdoors are all beneficial for seniors – and anyone for that matter. Moncton Hospital in New Brunswick, about a half-hour drive from where I live, has a roof garden called a “healing garden” with room for exercise. They have found it reduces the medication needed for sleep disorders and helps mental health. If that’s true, and few people would doubt it based on the research, the Fundy Trail, only a 45-minute drive from Sussex, should be promoted as a healing trail. 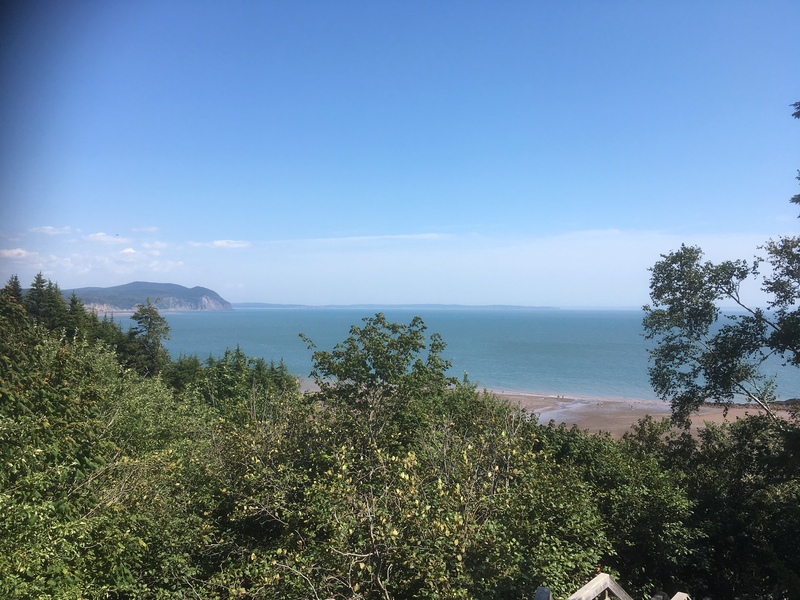 16 km of hiking and biking trails and 19 km of parkway with breathtaking views of the Fundy coast should take anyone’s mind off their ailments. And imagine tides that rise 32 feet! Nature at its best. New Brunswick, now my province of choice, is not an ideal place for lucrative jobs. It currently has the lowest median net worth of any other province in the country, according to a December, 2017 report from Statistics Canada. But money can’t buy health. It’s interesting to note that young people leave in droves to seek out high paying jobs in the big cities, only to return in their senior years. New Brunswick and the other Atlantic provinces have the highest percentage of seniors in the country according to Statistics Canada. It’s an ideal place for retirement because of its lower cost of living as well as its quality of life. I’m not saying you should move to Sussex; but you should definitely draw closer to nature if at all possible. And if not, at least draw nature (in the form of plants, greenery and scenic views) closer to you.